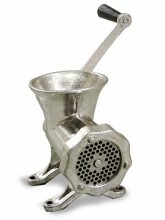 Grind your meat the old fashioned way, by manually grinding by hand! 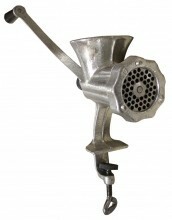 Available in stainless steel and durable cast iron, choose the material that will work best in your environment. 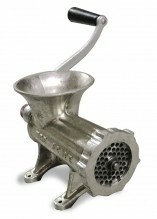 Clamp style meat grinders available to attach to most sturdy countertops for a more sturdy manual style. 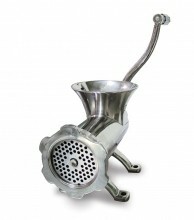 With varying plate size and hopper opening, choose the meat grinder style that will benefit your establishment’s style and productivity. 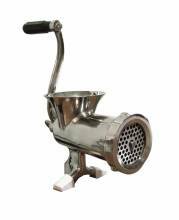 With units sold with an additional plate and extra stuffing tubes, Zanduco provides you with the necessary items you need to make anything from freshly ground meat to wrapped sausages. 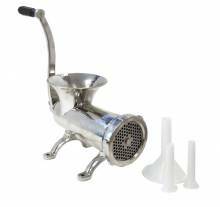 Make your own hamburgers and sausages from scratch, by adding a durable manual or electric, easy-to-use meat grinder to your home, butcher shop, restaurant or deli!